Holding that hopeful people legitimately expect Pre-Independence era artifacts like Koh-i-Noor diamond, Shah Jahan’s wine cup etc., to be brought back to India, the Central Information Commission (CIC) has directed the Prime Minister’s Office (PMO) and the Ministry of External Affairs (MEA) to spell out the efforts it has been making to bring back the priceless pieces of historical importance. Central Information Commissioner M Sridhar Acharyulu asked Chief Public Information Officers (CPIO) of the PMO and the MEA to share the information with RTI applicant BKSR Ayyangar while criticizing them for “wrongfully” transferring the RTI application to the Archaeological Survey of India (ASI) when the Antiquities and Art Treasure Act, 1972 expressly states that the subject matter is not under its control. The CIC has directed the CPIO, PMO to explain why the RTI application was transferred to the ASI while also directing the CPIO of the Ministry of Cultural Affairs to show cause why the maximum penalty should not be imposed against each of them for not furnishing information sought, besides wrongfully transferring RTI application to the ASI. It also asked the Superintending Archaeologist & Nodal Officer of ASI to show cause why the maximum penalty should not be imposed against him for taking 10 days to transfer the RTI application to ASI instead of the stipulated five days. In the instant case, the applicant had sought information regarding efforts made by the Government of India along with the related documents and correspondence for bringing into India Koh-i-Noor diamond, Sultanganj Buddha, Nassak Diamond, the sword and ring of Tipu Sultan, the golden throne of Maharaja Ranjit Singh, Royal Jade wine cup of Shahjahan, Amaravati railings and Buddhapade, Saraswathi marble idol Vagdevi, mechanical tiger of Tipu Sultan etc. and other jewels. The CPIO of PMO transferred the application to ASI on September 7, 2017, and the CPIO, Ministry of Culture also sent his First Appeal to ASI. The CPIO of the ASI stated that under the Antiquities and Art Treasure Act, 1972, the ASI can take up the issue of retrieval of only those antiquities, which have been illegally exported out of the country in violation of the above Act which became operational in 1976. So far 25 antiquities have been retrieved from various other countries during the years 2014 to 2017. Having not received any information, Ayyangar moved the second appeal before the Commission. When asked why the RTI request was not transferred to the PMO or the Ministry of Cultural Affairs, CPIO, the ASI said: “These applications were filed at first with them only. I didn’t understand why they sent to us”. The CPIO also informed the CIC about two petitions filed before the Supreme Court for retrieval of Koh-i-Noor, and the apex court had in 2017 held that the Government of India continues to explore ways and means for obtaining a satisfactory resolution to the issue with the UK Government. The CIC referred to various conflicting news reports which spoke of changing stand of the Centre on bringing back various artifacts, including the Koh-i-Noor taken out of India before Independence. 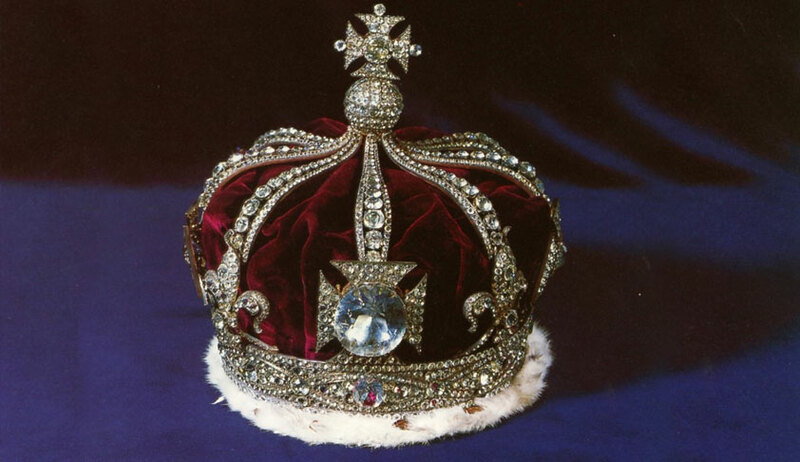 In one of the news reports it was reported that 24 hours after it told the Supreme Court that the Kohinoor diamond cannot be brought back to India from the UK as it was "gifted" to the British queen, the government did a U-turn over the issue and quoted government sources saying that the government will make all possible efforts to bring back the legendary gem in an amicable manner. It also had references to views of India's first Prime Minister Pandit Jawaharlal Nehru dating back to 1956 saying that there is no ground to claim the treasured gem back and that it was not desirable to exploit good relations with some countries to obtain free gifts. The commission also took note of reports of how the efforts of Narendra Modi after he became the Prime Minister led to three significant pieces of India's history coming back home as in October 2015, German Chancellor Angela Merkel returned a 10th century Indian statue of Goddess Durga that was stolen in 1990 and found in 2012 at a museum in Germany. In April 2015, then Canadian PM Stephen Harper returned a sculpture known as the 'Parrot Lady', which dates back to almost 900 years. The Australian PM Tony Abbott, on his India visit in 2014, had returned antique statues of Hindu deities that were in Australian art galleries. It noted that none of these gestures affected India's relations with Canada, Germany or Australia. “With all kinds of such reports and multiple statements, the citizens are confused as to what exactly is the stand of the Union Government on securing back priceless cultural heritage of India. It is also not known whom should they approach for information under RTI, why the Ministry of External Affairs asked the requester to approach the Ministry of Culture, who in turn transferred it to ASI, knowing that as per 1972 Act, the ASI has no role to play regarding the artifacts taken away from India prior to 1972. Earlier RTI request also ended up at ASI without any ‘information’,” noted CIC Acharyulu. “The efforts, if any, will involve external affairs or international transactions or diplomacy at higher level of the Prime Minister or Minister for External Affairs or High Commissioners of India and other concerned nations to get back historic possessions that were taken out of India. One can understand Ministry of Culture transferring it to MEA. As per International Law, i.e, Treaty cited above, India has every right to secure these artifacts from British, which acceded to that treaty. Especially when Prime Minister could bring back so many artifacts from foreign countries, hopeful people legitimately expect them back. The official statements assuring their continued efforts and that they were committed bring them back besides agitation in Parliament and reports of PM’s meetings increased expectations. When Parliament cannot be denied this information the citizens too cannot be denied as per proviso under Section 8(1) of RTI Act,” he observed. The matter is now posted for June 30.